A Boise man has always wanted to help people with disabilities, and now he is taking that dream on the road. Ron Storms is riding his bike from the west coast to the east coast alongside his black lab named Onyx. 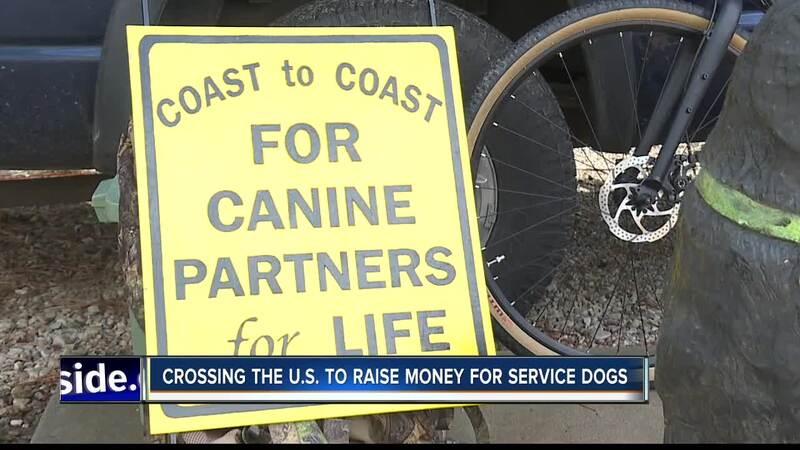 Storms is raising money for Canine Partners for Life, a group that provides service and companion dogs for people with disabilities. His goal is to raise $30,000. He says that is what it costs to acquire, train and feed one service dog for a disabled person. "If anybody gets a dog that helps them with their life that's as special as Onyx is to me--I mean, that's just the drive, and just trying to reach as many people as we can and do what we can," said Storms. Ron's female companion drives a custom dog house camper along the way. The three left Oregon about a month ago and plan to arrive in Philadelphia sometime in September.